Yesterday, I sent my Fundraising Kick members 3 contrarian tips on writing successful fundraising letters. Here are three more tips that seem to go against what we'd expect. This book is packed with real, tested tips, not ephemeral theories. Ignore them at your peril. When writing fundraising letters, it's always best to use font with serifs - those little design on the ends like you'd see in Times New Roman - rather than a sans-serif, like Arial. Tests show that serif fonts are easier to read than sans serif. And in direct mail fundraising, you need to make your letters easy to read! If you don't, they're destined for the trash can before you even have a chance to tell your story. Jeff says that sans-serifs are ok with headlines, but be sure to keep all the fonts black. Not white on black. Not any other color. This is again about readability. Your letter may look pretty with different colored fonts, but your goal shouldn't be a pretty letter. Your goal should be an effective fundraising letter. And it's shown time after time to be more effective, and easier to read, when your letter's font is black. Another factor in making it easier to read is the size of your fonts. I think many of us like 11 point font because it helps us get more words onto a page. But since direct mail readers tend to be older, we need to design our letter for older eyes. Jeff says the smallest font you should use in a letter is 12 point. A little bigger could be even better. Don't worry if this bumps your text onto another page. At another point in the book, Jeff says that longer letters get better response than shorter letters. Totally against what I prefer. But we're not writing letters to meet our preferences. We're writing letters to fund our nonprofit! A third point he makes is that fundraising letters work best when they sound like someone's talking to you. Short sentences and smaller words are preferable. Paragraphs don't need to start with the premise and don't need to be 3-5 sentences. Sometime paragraphs should be just one line. And sometimes you'll find using only a fragment is more effective than using a complete sentence. Just one phrase. It can add emphasis and a little drama. Something that piques people's curiosity enough to read further. He's not advocating sloppy writing. It needs to be focused and clear. But this isn't highschool English. This is fundraising. And since people give to people, conversational letters out-perform thesis-paper-like letters. These are just three of the time-tested tips in Jeff's book. The Fundraiser's Guide to Irresistible Communications is packed with loads more. 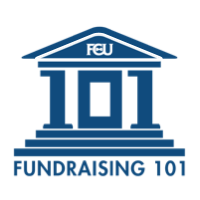 If your job involves writing or approving fundraising letters this fall, be sure to test tips! In addition to this great book, Jeff has a helpful (and fun) blog at www.FutureFundraisingNow.com. orphanages and drilling for water. I am confused. I freely share my wisdom here on this blog. Thanks for this post. Very good advice. As a leading edge Baby Boomer, I appreciate your advice about serif fonts and bigger fonts. But I notice that this blog post -- like many I read -- breaks both of those "rules" and I'm wondering why. Is it different for online appeals? Thanks, Susan. How is it breaking the rules? If you mean that this is sans serif, the tips above are for print, not web. Sans serif is easier to read on the web. If you meant something else, Susan, I'm all ears!